It’s been a little more than just a while since my last outfit post. It’s interesting how quickly time and life seem to get away from you! But now I’ve once again found myself biding my time at an airport gate in Austin, TX waiting for a flight to JFK with a near SIX-hour delay to start boarding*. This is the second time in this past month alone that I’ve been in this scenario—such is the sad reality of a frequent traveler. On the bright side, I now have some time to finally share one of my recent dress acquisitions! The shift dress. Basic? Yes. But in a good way; it’s such a simple staple that I think should belong in everyone’s closet and regular rotation. 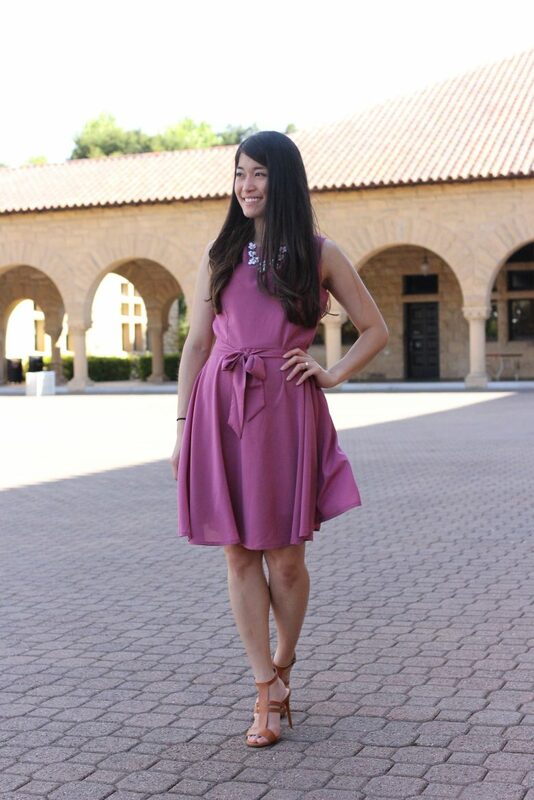 This basic lilac sleeveless dress has a beautiful flow, a flattering drop, and makes use of a tie sash to accentuate the waistline. It’s the epitome of the all-in-one effortless summer dress. Just throw on an accent necklace and you’re good to go! 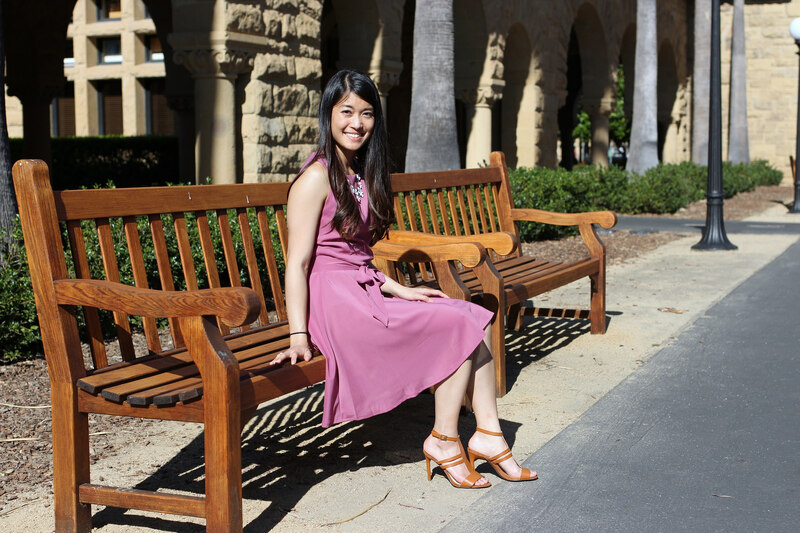 I wore this outfit to my brother’s recent graduation from Stanford a few weeks ago. Boy was it a sunny day! But the airiness of this dress kept me cool, and the sewn-in lining offered extra protection from unwanted sweat lines. 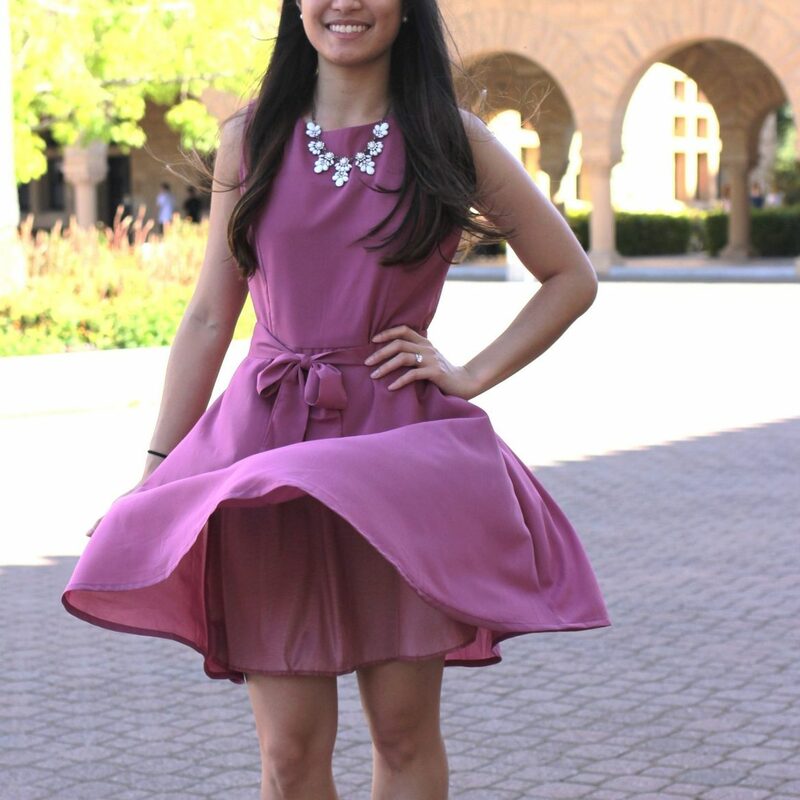 I’ve worn this dress three times since; it’s truly a go-to outfit that adds a touch of effortless summer-time class! 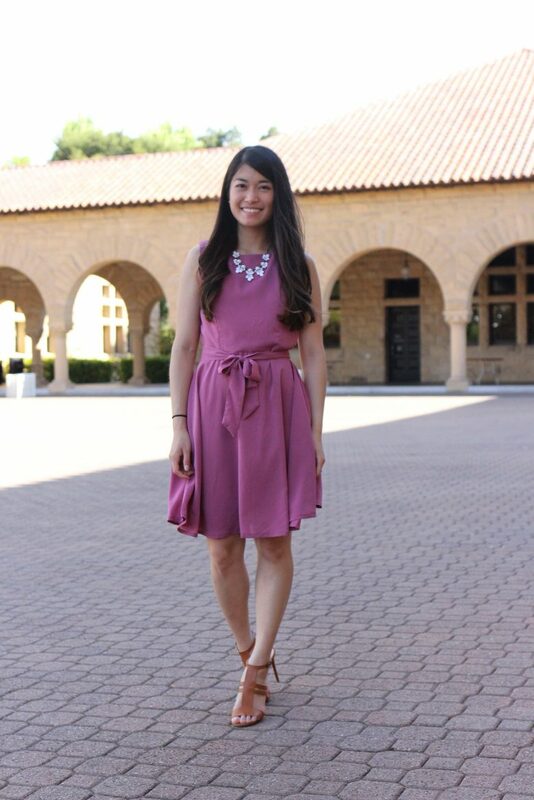 While this comes a little too late for the rush of graduation celebrations earlier in May and June, the shirttail dress remains a great pick for a wedding guest outfit by offering a playful and comfortable option. Need more inspiration? Checkout these options (lacy mint, watercolor maxi, cutout hi-lo fuchsia) for other ideas! * In case you were interested to hear about how a 6-hour delayed trip progressed: after the 6-hr wait in Austin, my flight was about to finally land in JFK when we were diverted to Detroit which added an additional 4 hours of travel time before finally circling back and landing. A 6pm expected arrival time delayed and diverted to end up with a 4.30am arrival time. It was a frustrating travel adventure to say the least! For everyone traveling this busy weekend, I wish you all the best and safe travels!